The Charles H. Hood Foundation is focused on turning a single vision into reality: improving the health and quality of life for all children. By identifying innovative pediatric advancements and providing funding in the key stages of development, the Foundation allows high-impact projects to both begin and succeed earlier. The Foundation has proven many times over that supporting brilliant minds early in their careers helps position promising researchers to leverage long-term funding from other private and government sources. We have a three-pronged approach consisting of Child Health Research Awards, Major Grants, and Program Related Investments. The Child Health Research Awards Program helps young investigators succeed in new, independent roles by giving them opportunities to demonstrate creativity in their field that lead to both career advancement and additional research funding. In the end, this kind of support at critical phases of both scientific research and career path development helps propel the pediatric research community ahead to uncover transformative breakthroughs that impact the health and well-being of children and families in New England and around the world. 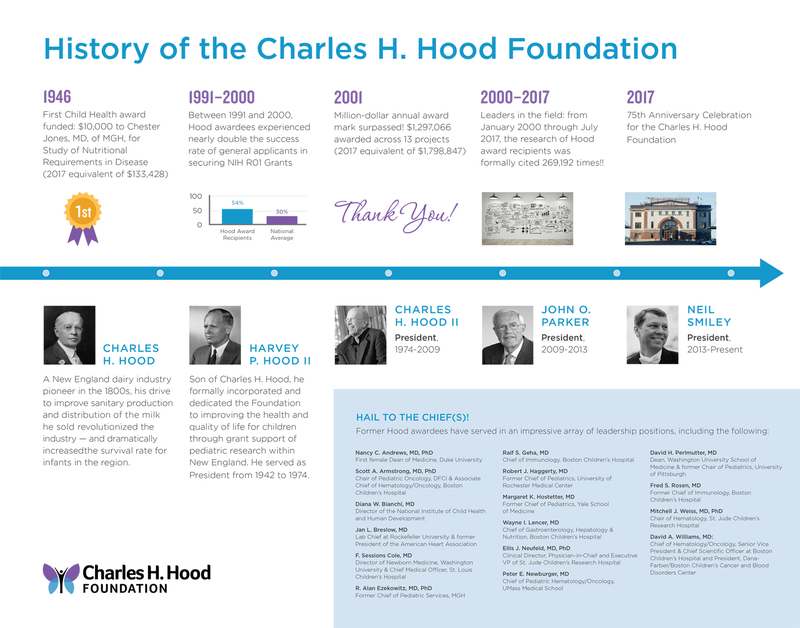 Since 1942, the Hood Foundation has carried on the legacy of Charles H. Hood by funding groundbreaking and innovative pediatric research in the New England area. The Foundation makes meaningful change possible by filling the gaps in the medical research and innovation funding marketplace that springboard the next generation of cutting-edge scientific leaders and advancements in pediatric health. Our future is driving the research that improves the care and well-being for all children. A New England pioneer of the 1800s dairy industry, Charles H. Hood did not set out to change lives. But, his drive to improve sanitary production and distribution of the milk he sold revolutionized the industry — and dramatically increased the survival rate for infants in the region. Those early innovations sparked a lifelong dedication to science, education and discovery that the Hood Foundation strives to continue today. 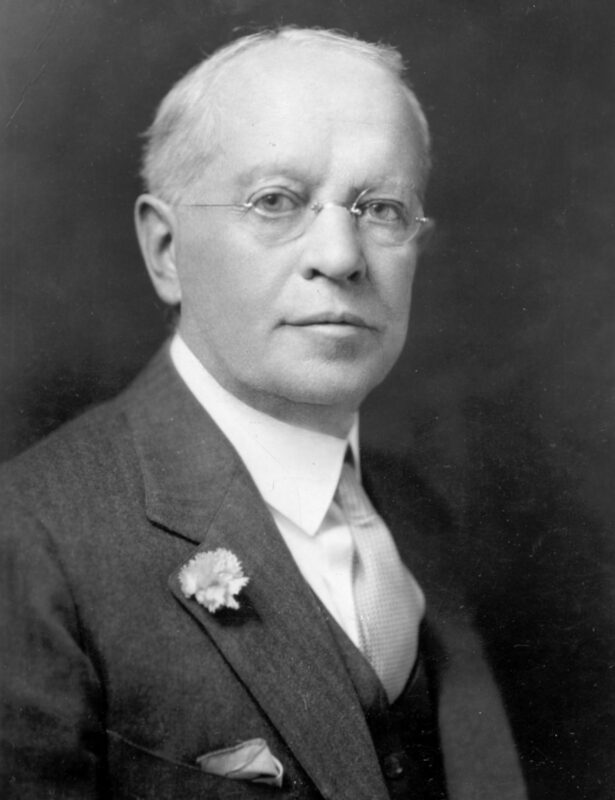 In 1942, his son, Harvey P. Hood II, expanded the vision by formally incorporating the Charles H. Hood Foundation, which has since been entirely supported by private contributions from Hood family members. Harvey P. Hood II dedicated the Foundation to improving the health and quality of life for children through grant support of pediatric research within New England–based institutions. He worked to create an effective way of selecting and supporting projects that could accelerate the development of high-impact scientific breakthroughs that may not have been possible otherwise. Today, the Hood spirit lives on as the Foundation continues to select and support innovative pediatric medical research that results in transforming the health and quality of life for children and families in New England and beyond. Click for PDF of Hood Foundation timeline. The Hood Foundation’s Scientific Review Committee is tasked with reviewing grant applicants and approving the most promising projects for funding, with particular consideration toward excellence in scientific research methods and innovative, high impact projects that might not be funded otherwise. 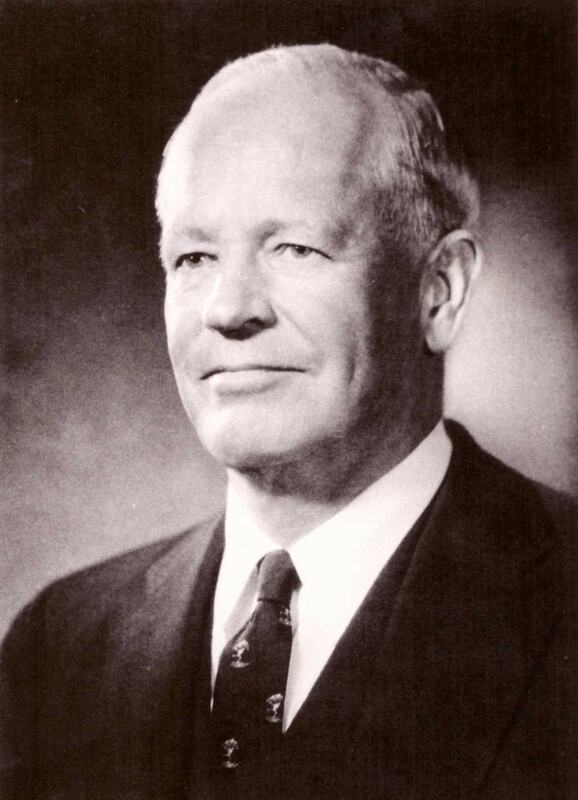 While the selection of grant recipients using a peer review process is the norm among today’s philanthropic medical institutions, in 1942, the Hood Foundation was one of the first to establish peer review as the basis for its decisions — four years before the National Institutes of Health. H. P. Hood II created a membership rotation system, which continues today, designed to benefit from members’ expertise without overtaxing them. This was purposefully designed to ensure that the Foundation would continue to draw upon the knowledge and passion of New England’s leading child health experts for years to come. Over the many decades of the Foundation’s existence, diversity in expertise has been added to the Scientific Review Committee to reflect the growth and breakthroughs of pediatric research in genetics, oncology, epidemiology, and other important disciplines. 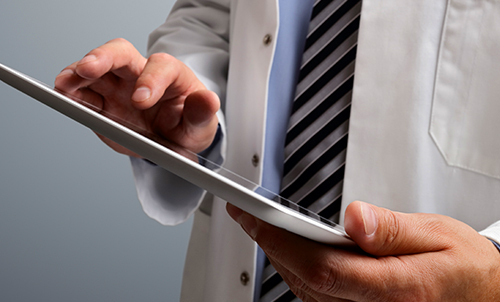 Jeffrey D. Dvorin, M.D., Ph.D.
Juliette C. Madan, M.D., M.S. For a full list of past Trustees, click here.